You’re finally home after a stressful day at work and all you want to do is to blow some steam by checking your favorite websites, the news, laugh at some memes and, you know, the usual activity. You open your browser, access a website and bam, a pop-up! And another one! Oh, there’s another one! Your browser looks like Times Square now and you can’t do nothing about it, as the pop-up ads seem to be coming out of nowhere. It’s already getting on your nerves, right? We can totally relate, as we’ve been through this situation plenty of times until we’ve heard of one technology wonder called pop-up blockers. The little additions can help you enjoy an ad-free experience and the best part about them is that they’re pretty much free and there are plenty of them available out there so you can choose the one that suits your needs best. But hey, why would bother searching and testing them when we’ve already done this? 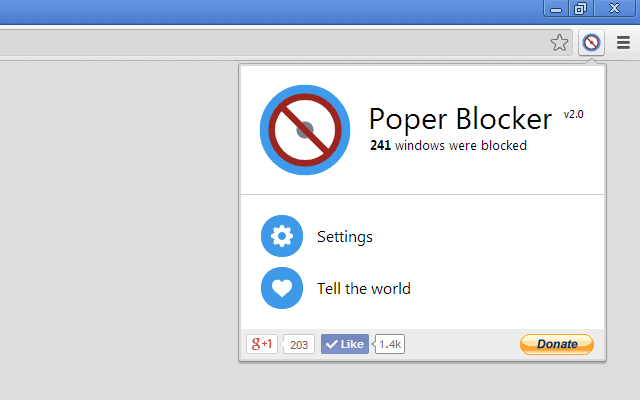 That’s right, here you can find a list with 10 of the best pop-up blockers for Windows. Let’s begin, shall we? At a first look, this piece of software doesn’t look that special, but let’s be serious, who cares about the interface when it can do its job as it should? Because that’s exactly how AdwCleaner can be described. What differentiates it from other similar pop-up blockers is that as soon as the download is completed, you don’t need to install it and it can run from any storage device. Also, once the download is completed and you run it for the first time, it will start scanning your system for adware and eventual hijackers, also removing those lousy toolbars installed automatically. After the scanning is completed, your computer needs to be restarted and it will run in your background, keeping unwanted pop-ups away from you and your work. This one is praised by experienced users, who consider it one of the best pop-up blockers for Windows (if not the best). The bad part is that it costs $30, which is not that cheap, but according to PC World, it’s guaranteed to block 98 percent of Flash, banners, Flash ads, floating ads, pop-ups, inline, and text ads. And like this wasn’t enough, AdMuncher comes with an additional anonymous proxy server, so you can disguise yourself while browsing the Web. Once it’s installed, it will display an icon in the system tray, with various menus allowing you to control the way it works. Also, if you encounter any issues while using it, you might as well use the live chat feature, which you can get you a quick answer from the guy who made the pop-up blocker. Finally, don’t be blue about the price, because you can also opt for a 30-day free trial. If you’re really satisfied with its ‘powers’, you can eventually support the developer and buy it. The third entry in our best pop-up blockers for Windows top has a really…scary name and, believe us, it manages to live up the hype. But that’s not what makes it special, no, not at all. If the previous two browsers work with mostly any browser, this one is especially designed for Internet Explorer. Because yes, there are still a lot of people using Internet Explorer. In 2016. After installing it, right click any where in the browser and you’ll see the menu, from which you can configure it. Once you start blocking ads, it will recognize similar ones, alongside pop-up windows. If you’re fancying this idea, give it a try and see how it works. It’s free for the first 15 days and if you want to continue using it, you’ll need to pay $30. You must be a big Internet Explorer fan in order to do this! This is one of those pop-up blockers which besides doing everything right also looks good. Thanks to the simple user interface, anybody can easily use it to block everything that can affect their browsing experience. Just install it and it will silently run in your system tray, keeping those ads and pop-ups away from you. 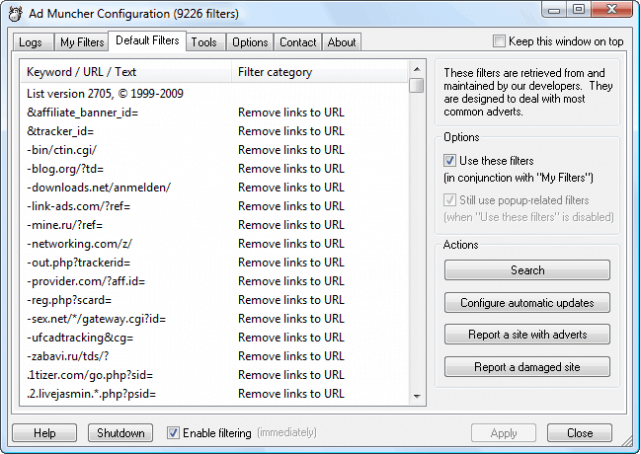 Filtering is turned on by default and the menu offers you the ability to chose from a list of target applications to scan, like browsers, P2P programs and many more. You can even block cookies, if you don’t want your data to be connected. 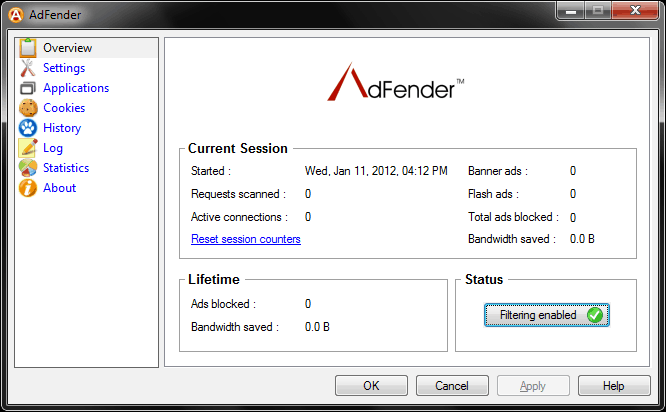 Finally, for those who really want to clear their tracks, AdFender can also be used to clear browser history from Google Chrome, Mozilla Firefox and Internet Explorer. Now this is what we call a feature-packed pop-up blocker! Pop-ups, banners, fly-in and slide-in ads…all of them will be history after you give Super Ad Blocker a chance to deal with them. 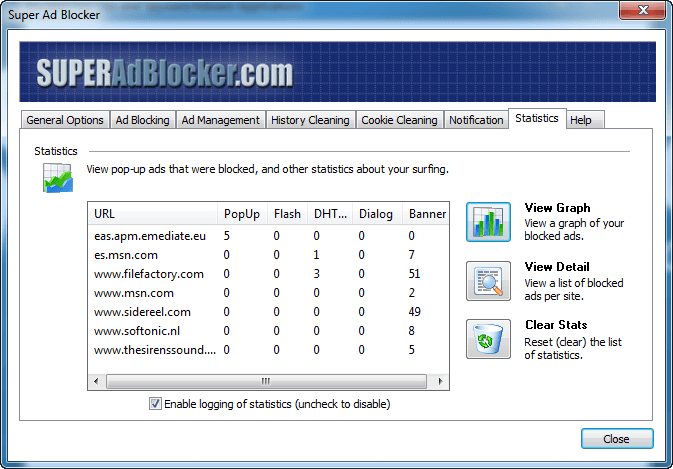 Super Ad Blocker features a configuration panel, giving you access to various options for stopping ads. Besides this, it has specific features that let you stop images even from animations and eventually allow pop-ups to be displayed, but just from a list of secure sites you’re going to set. 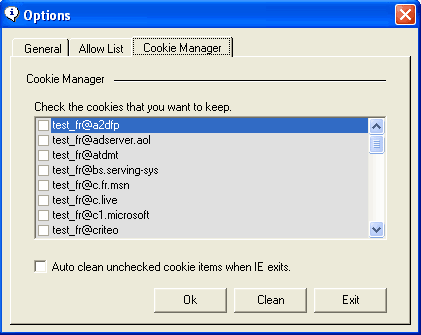 It includes tools for cleaning cookies and browser history, alongside an antispyware scanner. 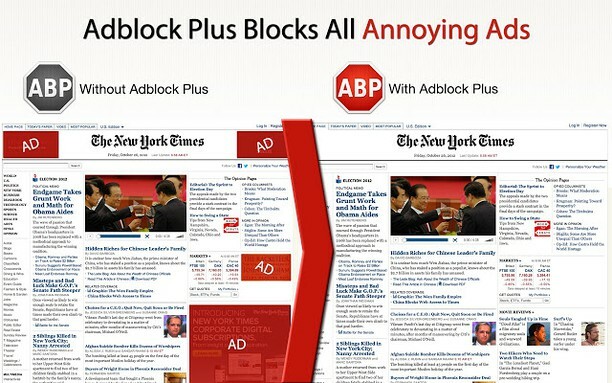 As great as everything might sound, Super Ad Blocker is available for free for just 15 days. If you decide to continue using it, you need to pay $30 and it’s all yours. Attention, $30 just once, not monthly, not yearly. A pretty good investment, don’t you think? 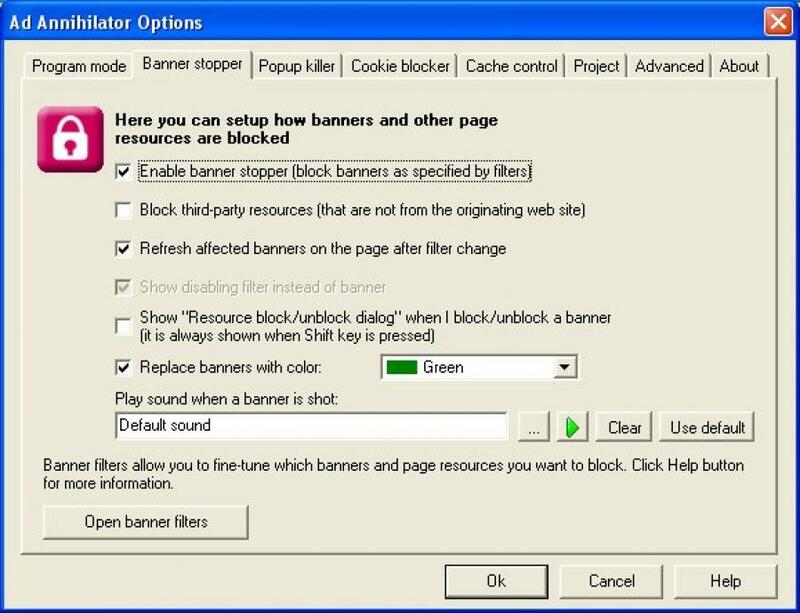 If you’re not fancying the idea of installing software in order to get rid of pop-ups and any other ads, uBlock is just what you need: a simple and accurate browser extension, available for Google Chrome and Mozilla Firefox, with tons of features. A single click on the icon in the toolbar will reveal support for more filters, alongside statistics about the overall efficiency of uBlock. The best part about this little guy is that it’s completely free and you can also customize it. To sum up, if you’re looking for something with a simple interface and very similar to use, uBlock is definitely one of the best pop-up blockers for Windows you can opt for. There’s no doubt that AdBlock Plus is pretty much the most popular option nowadays when it comes to the best pop-up blockers for Windows, yours truly being a big fan and user for a few years now. 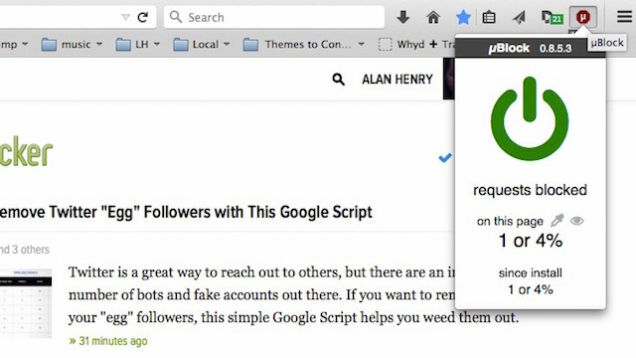 It works in the same way as uBlock, being available as an extension for Google Chrome or Mozilla Firefox. Or, if you’re one of those users who likes alternative browsers, it also works on Opera, Internet Explorer, Yandex, Maxthon or on Android. What made it this popular is its ability to block ads from YouTube and Facebook, but it’s so advanced that it can even allow you to decide if an ad is annoying and eventually remove it, rather than deleting every promo in your way. Other features worth mentioning are the no-tracking options, for social media, the removal of social media buttons from certain websites and its customization menu. Try it and you will most likely fell in love it with. Google Chrome users, this one is just for you. Poper Blocker is a simple yet effective extension that will get rid of any pop-ups and even pop-unders, those new windows that open without you noticing them initially. The extension will show a notification each time a pop-up is blocked and give you three options: allow it once, always and go to the advanced menu and manage your list with whitelisted website, which have pop-ups you actually want to see. Otherwise, it doesn’t have any fancy options and unfortunately, it’s available just for Chrome users. But hey, don’t worry. If you’re using another browser, there are plenty options presented below! Next in our top is one of the oldest players in the game. 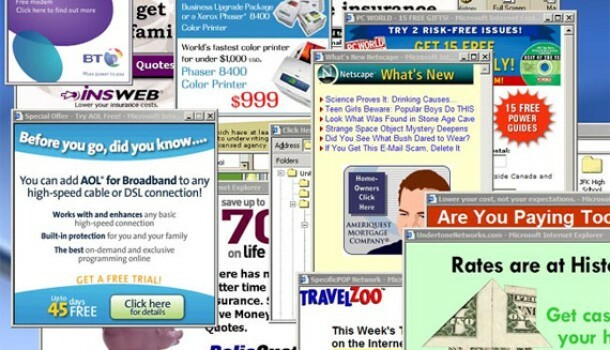 Smart Popup Blocker was first released in 2004, but it’s still a reliable option for anybody looking forward to enjoy a pop-up-free experience. Despite its relatively simple interface, it does the job very good, blocking all types of ads and even making a sound whenever it blocks an ad. This can be annoying for some users, but there’s an option to disable this (which you will most likely use). Otherwise, it doesn’t have any features able to block cookies, but you can use a whitelist of websites which are allowed to deliver you ads, which, for some users can be a great option. Overall, if you can go over the outdated design, it’s an option worth considering. The name sums it up very good, we’d say, as this piece of software is great for blocking banners and pop-ups. But it won’t resume just to this, since it also have additional ‘powers’, like a cookie remover and an active anti-spyware module. As efficient as it might be, its biggest minus is that it’s a paid option, costing you $30. Still, you can go with the 15-day free trial and decide if it’s really the product you want. If you’re not happy, you’re always going to have this list, with 9 more options to choose from. And this concludes our ‘Best pop-up blockers for Windows’ top. Hopefully, it will help you decide upon the best option, in order to enjoy a distraction-free browser experience. Like always, we’re open for suggestions, as we’re willing to expand this list in the near future. If you come across a good pop-up blocker that wasn’t mentioned in our top, feel free to tell us about it and the reasons that made you choose it, using the comments section below.